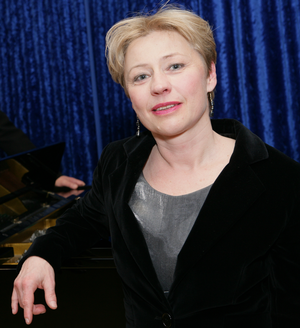 Susanne Langholf studied singing at the Richard-Strauss-Konservatorium in Munich. In 1996 she received her diploma in music after finishing her studies at the Musikhochschule Munich. She also participated in master classes with Agnes Giebel and Kurt Widmer. Further singing training by Angela Maria Blasi. Intensive study with Seth and Kathleen Riggs in Los Angeles, California. Ms Langholf graciously stepped in to sing the first five songs of "Chasms" on short notice.